It’s definitely tough to find ways to save money in our current economy. Fortunately, just as there is for everything else these days, there’s an app for that. As smart phone applications have continued to expand their role as vital utilities, we constantly see more and more useful apps. Many will let you track your finances or help you find ways to better invest your money. Here are a few apps that are great for just that. Perhaps one of the best known of the personal finance software apps, Mint allows users to keep all of their financial information in one place. This includes a user’s checking and savings accounts, credit cards, and even their investments. All of the information displays in a read-only format, meaning the software doesn’t access your money directly. The app even has a passcode protection option to keep prying fingers locked out of your finances should you misplace your phone. Best of all, it’s also completely free, supporting itself through personalized suggestions for money-saving products like lower-interest credit cards. Mint also does a great job of helping people to visualize where exactly their cash is going. The app offers up several different types of graphs and charts designed to help you easily understand the breakdown of your cash flow, rather than drown you in a sea of numbers. All of this information is accessed via the net or through the smart phone app itself, helping you to track your finances even when on the go. You Need A Budget (or YNAB) is an app with a dedicated, passionate group of followers, and for good reason. Not only does YNAB combine all of your financial info in one location like Mint does, it also offers up financial literacy classes, tutorials, and a host of budgeting tools for the consumer as well. It’s a great program designed to teach people how to live on a budget, with the goal of teaching them how to save rather than live paycheck to paycheck. These additional features do come at a cost, however. While the android app is free, you’ll have to drop a hefty $60 if you want to have full access to all the features. Luckily the software is available via digital distribution client Steam, and it’s on sale there regularly. If you’re patient and willing to wait, chances are fairly high that you can pick up the program for fifty percent off or more. It’s definitely worth a peek if you’ve had difficulties with your finances; the teaching aspect alone easily justifies the purchase. Unique amongst the financial apps contending for a spot on your phone, SavedPlus is designed to set aside money from purchases. You tell the app how much you’d like to save, and after every purchase it will transfer a set percentage of that purchase into an account of your choosing. There are safeguards in place for the app as well, ensuring that your checking account doesn’t fall below whatever amount you’re comfortable with. Perhaps one of the most intriguing and useful ideas of using this program is to help fund your investments. While you can always set aside extra money into your savings account to help fund a vacation or purchase, you can also designate your savings to be moved into an investment account, helping you to make even more money from your funds. There’s also the option to set up your extra cash to go to charities as well or just to pay off your bills on time. The finance apps of today’s smart phones can prove to be incredibly useful when it comes to saving you cash. By integrating with your bank accounts, most offer direct access to your finances to help you track every detail of your spending. You can also find ways to take advantage of additional savings with your phone by looking into budget conscious providers, like cost-effective plans from T-Mobile. So what are you waiting for? 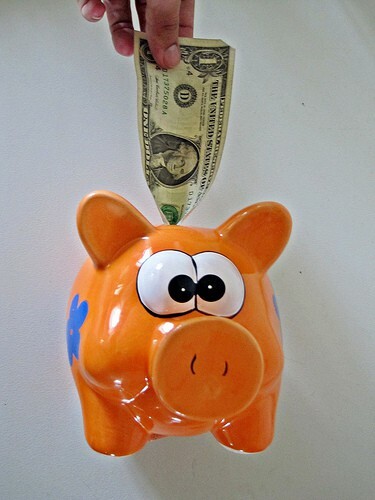 Take advantage of these savings tips and set yourself on the path to financial success today!